ELLEN Degeneres has banned singer Kim Burrell from appearing on her talk show this week. Burrell also referred to specific homosexual acts as perverted and implied that LGBT people will die in 2017. The singer was scheduled to sing a duet with Pharrell on January 5 on Ellen, but the talk show host today tweeted that Burrell will not be appearing on the show. They were supposed to sing I See Victory from the soundtrack of the new movie Hidden Figures. Fans didn’t want the performance to go ahead and set up a petition titled “Stop Gospel Singer Kim Burrell’s performance on The Ellen Show”. It has already attracted more than 5000 signatures. Burrell herself spoke abut the tape during a Facebook Live on Friday and blamed unspecified “enemies” for spreading only a portion of her speech. She said that she has never discriminated against gays and lesbians. “At times I want to punch and I want to slap a lot of people when I read and hear the sh*t that comes out their mouthes[sic]!! !” Monae wrote. Gospel singer Kim Burrell defended her headline-making homophobic comments in a pair of Facebook Live videos on Friday, December 30. "I never said 'LGBT' in the sermon. I said 'S-I-N,'" Burrell, 44, explained of the controversial remarks she recently made at her Houston church. "I know that people are going to be mad. ... To every person that is dealing with the homosexual spirit, that has it, I love you because God loves you. But God hates the sin in you and me, anything that is against the nature of God. I'm called to do what God called me to do, and that's it, and I do it with passion. ... I make no excuses or apologies." In a second video, the singer added, "I never said that all gays were going to hell. That never came out of my mouth. ... I said people who operate with that spirit in the church with deception and attack themselves are going to have to face the master." Burrell came under fire last week after a video surfaced of her antigay sermon at the Love & Liberty Fellowship Church, where she said, "That perverted homosexual spirit, and the spirit of delusion and confusion, it has deceived many men and women. ... It has come into our church and it has embarrassed the kingdom of God." The video immediately went viral and outraged many social media users. 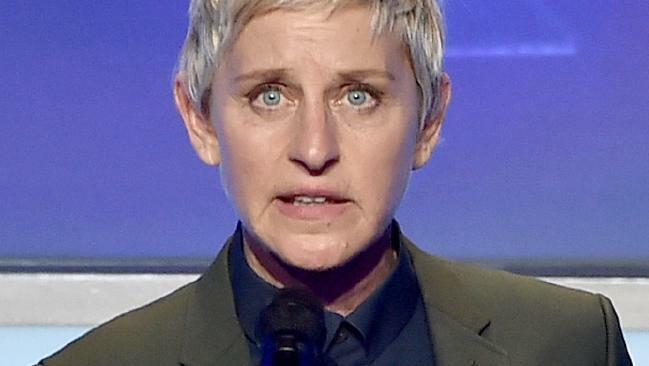 The video emerged days before Burrell's scheduled appearance on The Ellen DeGeneres Show. She was set to perform a song from the Hidden Figures soundtrack with Pharrell Williams on the Thursday, January 5, episode, but Ellen DeGeneres tweeted on Tuesday, January 3: "For those asking, Kim Burrell will not be appearing on my show." Williams, meanwhile, appeared to address Burrell's comments on Instagram on Saturday, December 31, writing, "I condemn hate speech of any kind. There is no room in this world for any kind of prejudice. My greatest hope is for inclusion and love for all humanity in 2017 and beyond." Gospel singer Kim Burrell labeled homosexuality “perverted” in a sermon she gave in her other life as a Pentecostal preacher, quickly eliciting responses from both Pharrell Williams, with whom she sings on the “Hidden Figures” soundtrack, and two stars from that film, Octavia Spencer and Janelle Monáe. Burrell and Williams were originally scheduled to perform the soundtrack song “I See a Victory,” on which he is also a producer, on “The Ellen Show” on Thursday, with Monáe also slated to appear as a guest. But on Tuesday morning, show host Ellen DeGeneres announced on Twitter that Burrell would not join Monáe and Williams on Thursday’s show. 0 Response to "Singer who called homosexuals ‘perverted’ banned from ‘Ellen’ appearance"